The Cardinal Greenway has been selected to participate in a grant program sponsored by the USA Today Network and we need your help! A Community Thrives awards funds to non-profit organizations for projects that positively impact their communities and we are honored to have been chosen. There are several different opportunities to receive the grant funds and as part of our selection we’re required to raise a certain amount through online donations during the fundraising period, today, Monday, March 18th through Friday, April 12th. If we meet our goal we’ll be eligible to receive a grant of up to $100,00 along with possible weekly incentive bonuses during the fundraising window. Donations must be received during the period which is open now and runs through April 12th. To make a gift click the link above. Thank you for your support and helping us take advantage of this wonderful opportunity! Saturday, April 13th is Opening Day for Trails, a nationwide event that encourages people to kick off the spring season by getting out to enjoy their favorite trail. 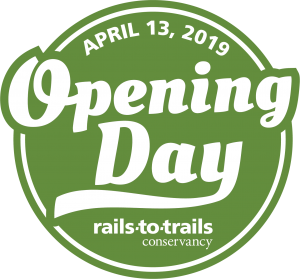 It is sponsored by our partners with the Rails to Trails Conservancy and the Cardinal Greenway hopes you’ll take advantage of this opportunity to go for a walk, run or ride to celebrate the beginning of another year on the trail. To make it even more worth your while the RTC is giving away some fantastic prizes for anyone who takes part in Opening Day, including a new Trek bicycle. You can register to win here. Our first event of the season will be here soon! 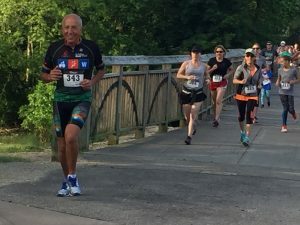 The National Trails Day 5K is Saturday, June 1st. 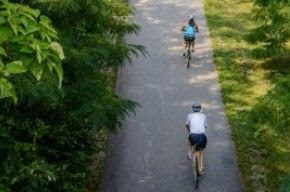 Come out for a walk or run on the Cardinal and White River Greenways starting and finishing at the Muncie Depot. Awards will be given to overall and age group winners and shirts for everyone registered by May 24. There is also a reduced rate for students of only $10. You can sign up and get more information here. 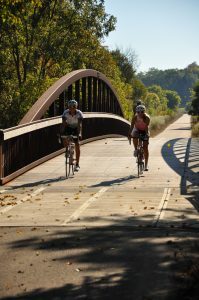 With spring on the horizon and warmer weather coming soon it’s a great time to be on the Cardinal Greenway. It’s also important to use the trail safely. This includes making sure to lock your vehicle, including windows and sunroofs, and if you have valuables make sure they’re out of sight. Always be aware of your surroundings when using the trail.